As the nation of Italy announces its election results, we wanted to highlight one of Cuatro M's very own, studying in Italy with an International Master's Program in Coffee Economics & Science. Michael Kaiser is our head of Media & Relationships, and started working with Cuatro M after moving to El Salvador from the United States in June of 2011. In January of 2013, he traveled back home to South Florida, and then to Trieste, Italy, to begin the program, where he will continue until July of this year. Below, we will let him share a about some of the specifics of the program, and now that he is settled into classes and life there, he will be sharing more frequently about the material he is studying, and some thoughts about putting things into practice, upon returning to Finca and Beneficio El Manzano before next harvest. In September of 2011, Diego introduced me to a Masters in Coffee Economics and Science, and I remember knowing then, that it was something I wanted to pursue, so a year later, hearing Emilio and Cuatro M express support for the idea to go and study in Italy, was like being shown a parachute strapped to my back and a nudged out the door of the plane 10,000 feet below ground. Now after two months of living in Italy, and seven weeks of classes, it still feels like free falling, and I couldn't be happier. Yesterday I completed my third exam, for a class titled "International Sourcing" - (a study of the intricacies, organization and management of an international supply chain), and today I am continuing work on an essay for another class: "Complex Systems Management." The pace of life is quick, however my hope is to slow it down enough to capture insight into the program itself and the content of classes I am studying. I will say that I have been pleasantly surprised and impressed by the coffee industry here in Italy. Perhaps, it is too early to offer a completely objective opinion, but soon enough, I'll tell you why, in my opinion, it's so easy to call Italy the best coffee culture on earth. But first, a short summary of the Masters itself. "The Master’s Program is based in Trieste, Italy, through the University of Udine. It is in collaboration with the university in Trieste, as well as a IllyCaffe, an international coffee roasting and packaging company that sponsors the program and many of the students who study here. 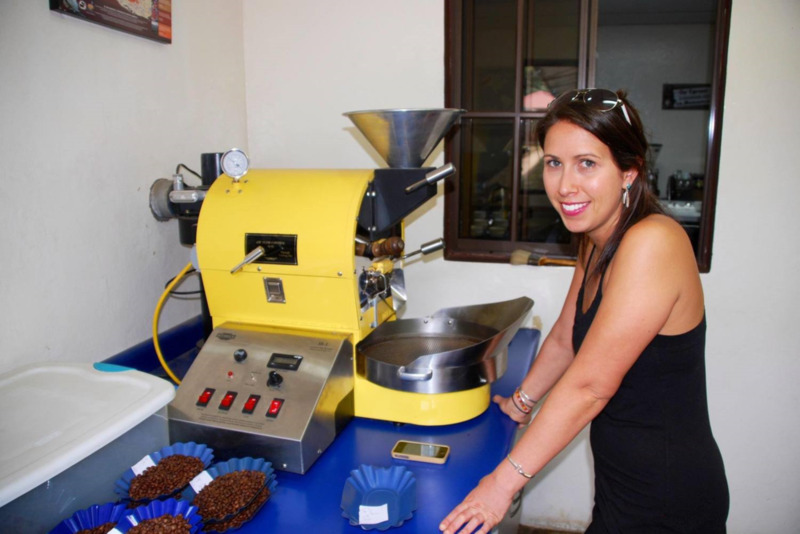 The program embodies the principles of Science and Economics, within coffee production, trading, and consumption; and is accredited through the Italian University system, with my diploma and transcripts coming out of the University in Udine. Classes span a range of topics within two aspects of the coffee industry. They began in January, and will last until June, totaling 60 credit hours. The program concludes with a thesis, written in the months following the classes, and is presented and defended in front of a board of advisors, professors, and associates involved with the various collaborators for the program. " So far, we have concluded six weeks of classes, with exams in the courses of Genetics, Industrial Process, and as mentioned before, International Sourcing. I plan to post the course descriptions very soon, along with some of my earliest thoughts about the topics covered so far. As for now, I sit at my kitchen table with a cup of Illy's single origin Ethiopian coffee, brewed in the Moka. I will begin work on an essay, and after a bit, will move to the University for todays class.